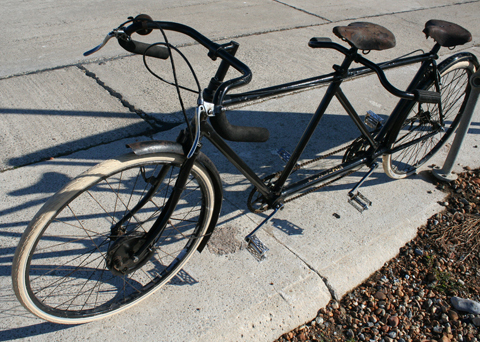 This is a rare tandem. 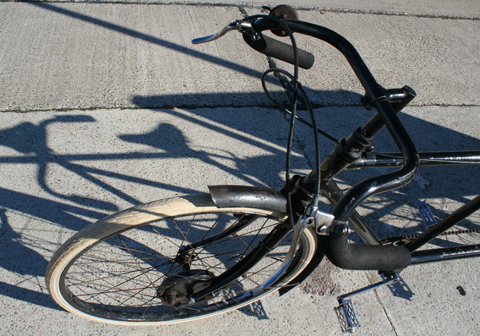 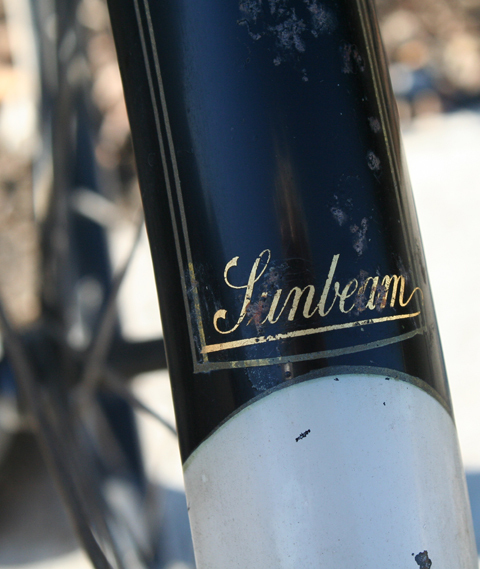 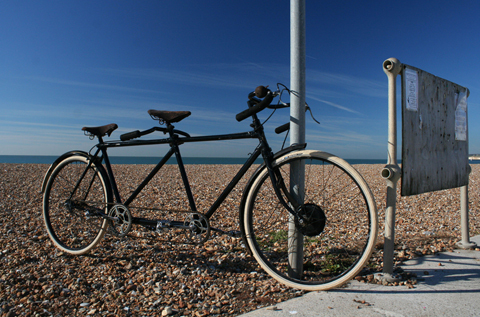 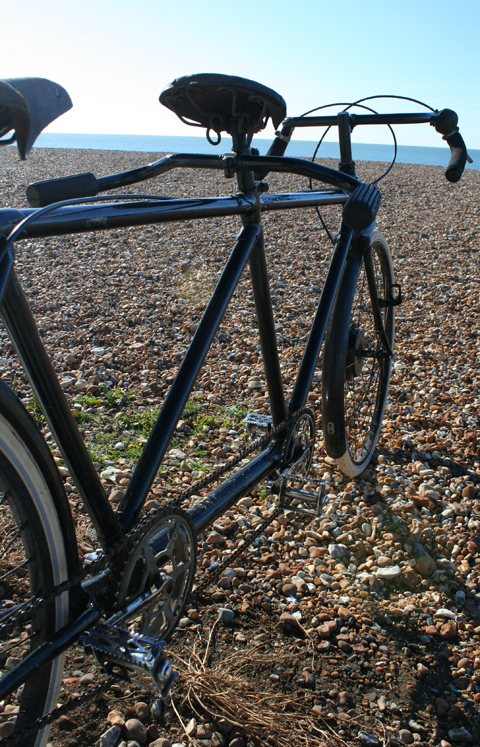 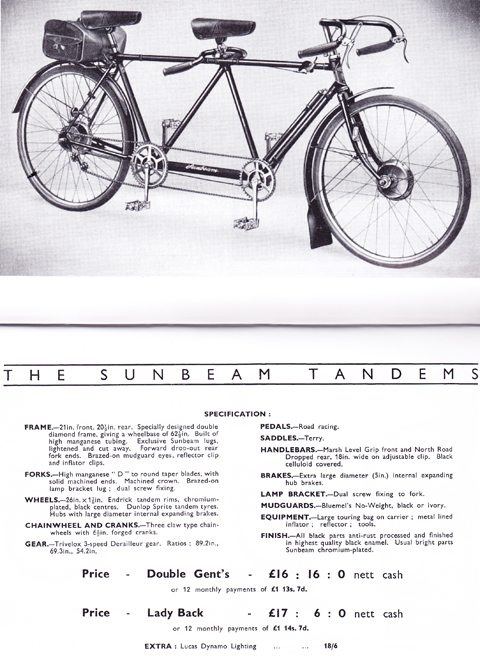 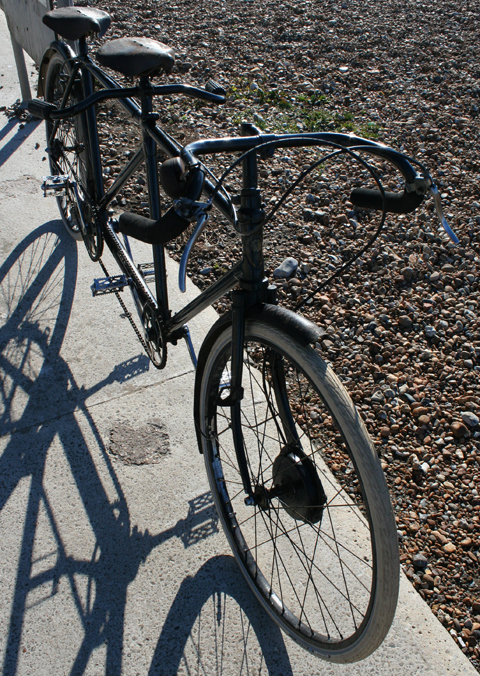 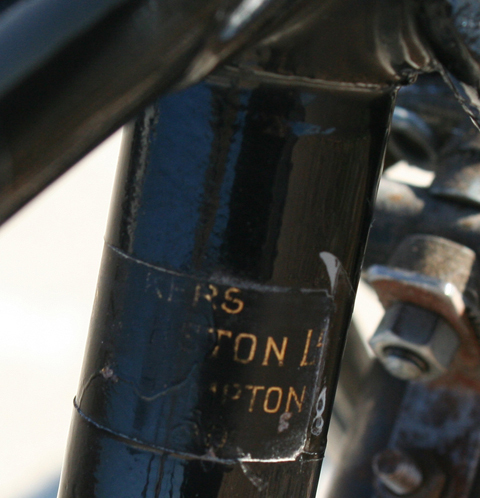 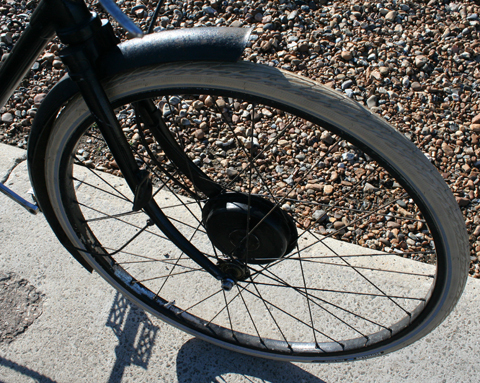 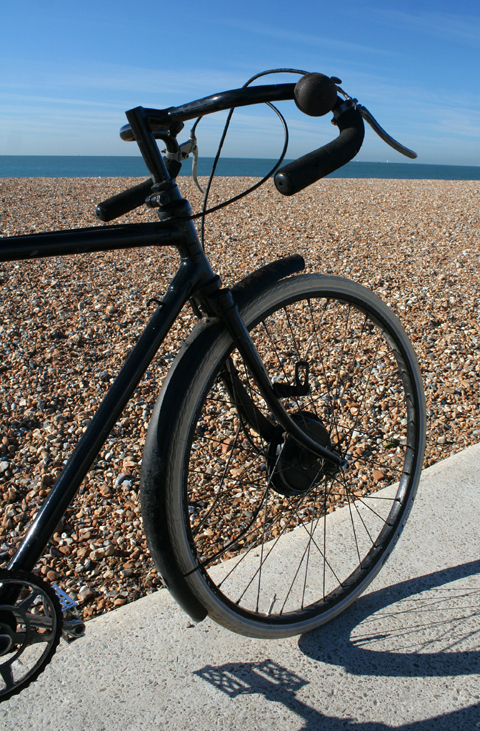 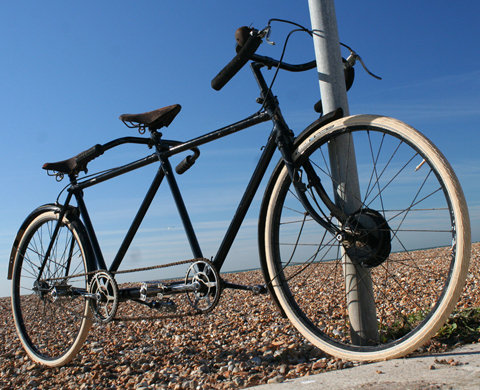 According to the ‘Sunbeam bible’ – the book Sunbeam Cycles (Pinkerton Press) – the Double Gents tandem was introduced for the 1936 season, with a Lady-back version offered in addition the following year for 10/- extra. 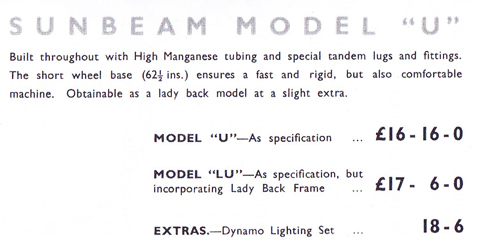 It was named the ‘Model U’ in 1938. 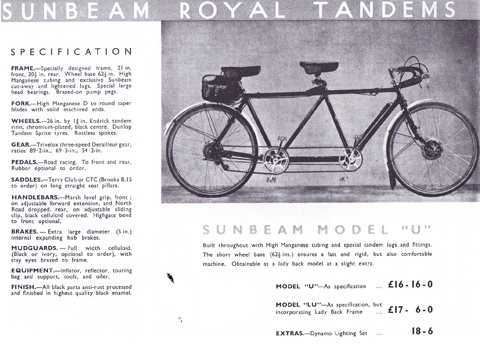 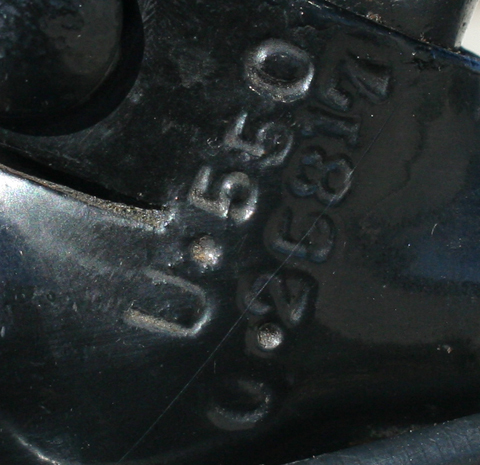 By 1940, with the outbreak of war, the model was discontinued. 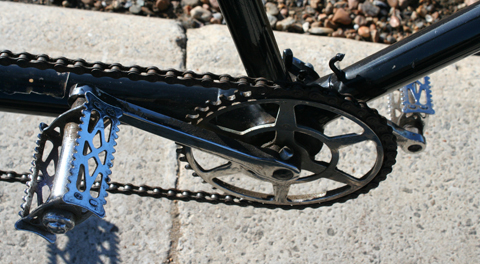 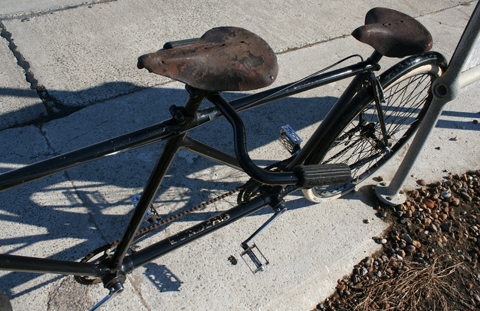 This one had derailleur gears, which I removed as I dislike them. 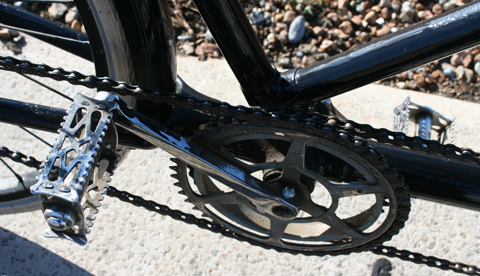 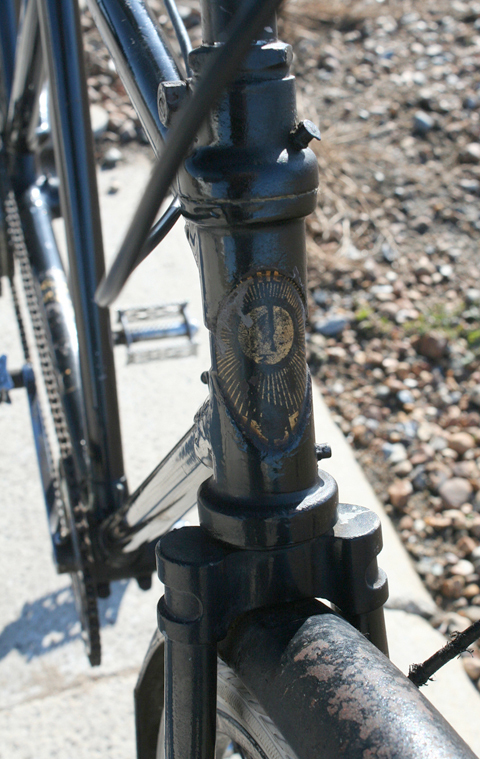 It’s now single speed. 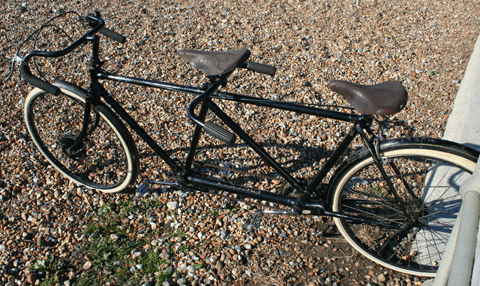 The tandem is in excellent all round working order. 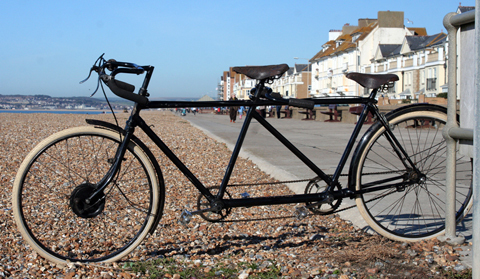 I have lights for it, but I’ve not got round to fitting them yet.